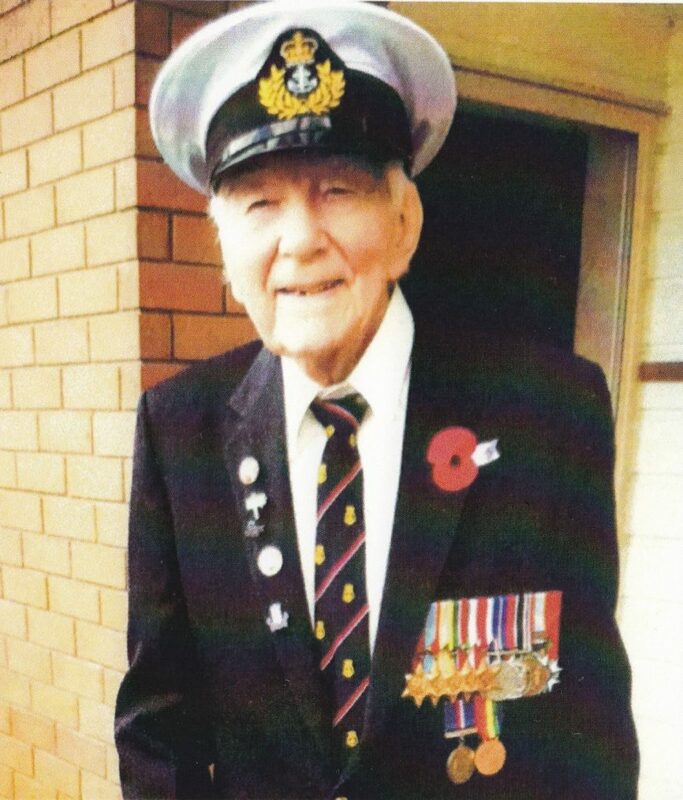 Helensville’s oldest World War II veteran, Harold Beven (98), died on 9 May, just two weeks after he attended the Helensville RSA’s Anzac Day commemorations. Harold was born in Norfolk, England. He began working as a toolmaker for an aircraft company at 16 and, after war was declared in 1939, joined the Royal Navy where, as part of the ordnance branch, he worked on cruisers and destroyers in gunnery maintenance. During the war Harold served on four ships and in almost all the naval theatres. As a Chief Petty Officer, he was involved in the evacuations of Greece and Crete, the allied invasions of Sicily and Italy and the June 6, 1944 D-Day seaborne invasion of France, Operation Overlord. His job was to maintain the guns while allied soldiers were rescued off the beaches. He described the work as at times horrendous but was very proud of his contribution. After the war Harold and his family moved to New Zealand, where he spent six years in the New Zealand Navy before working in civilian jobs. His connection with Helensville goes back to times he spent hunting on South Head, before looking after his friend’s South Head sheep farm in 1980. In 2017 Harold received the highest French decoration, the prestigious Legion of Honour, aka the National Order of the Legion of Honour, the 8th medal recognising his war service, with others including the Malta George Cross 50th Anniversary Medal. Speakers at Harold’s funeral attested to his courage, cheerfulness, serenity and modesty. He was remembered by many for his love of storytelling. At the time of his death Harold was living at Drake Village with his wife Sandy. He is survived by Sandy, his children Carol and Graham, eight grandchildren and 14 great grandchildren.